To all my listeners since my first album in 1998. This year, in Sept 2016 I learned my breast cancer treated in 2011 had become metastatic and spread to my liver and spine. Metastatic cancer is not a curable situation. At the end of Feb 2017 I learned chemo had stopped working and that no further chemo would have any chance of working for me and I had around 8-12 weeks left to live. So I wanted to take this opportunity to thank you all for allowing me to share one of my greatest passions with you all - music. My music will continue to sell through CD Baby at the links you'll find here and I hope you all continue to enjoy it, sing to it, dance to it, find yourself in it and through it. Then I know I live in through my music. From the age of 3 my head was filled with music that recombined itself into classical compositions. At 14 I sat at a piano and automatically that music in my head began to pour out from my fingers and I composed my first classical piece of music. Unable to notate I memorised it. At 19 I dared to buy my first piano. I taught myself my own system of notation with letter names, dots and dashes for note lengths and arrows indicating whether notes were going up or down the keyboard. Finally I taught myself to read music very basically (dyslexia) but enough to roughly notate in a way others might read and play. This way I composed many classical pieces and began to write songs but had too much Exposure Anxiety to dare let anyone hear them. At 22 I met Scott McLeod ('Tim' in Nobody Nowhere), a wonderful human I have known now all the way to the end of my life, and a lovely musician. I dared to allow him to play my music and dared to sing my songs in private with him. In time, in my itinerant life lugging around a piano, we shared a house a while and my music poured forth unstoppably. Many times I lost my piano through homelessness but would always strive to get another. Finally, aged 36 I did my first demo CD with a wonderful German blues musician Stefan Kissel ('Julian' in Nobody Nowhere) and long time professional muso, Mick Jones. A year later I dared my first professionally recorded CD of my songs, named after my first book and titled Nobody Nowhere. In my 40s I recorded my second, Mutation. At 45 I started Donna And The Aspinauts, performed rock musicals I'd written, produced and performed at 12 theaters around Melbourne and recorded the album Broken Biscuit with some wonderful musicians. My second keyboard player, Anthony Julian became a duo with me and we continued to perform and finally recorded a children's rock musical, Baloombawop in 2016 and Footsteps of a Nobody as well as two further albums of songs, Weirdos Like Me and Win Win in the midst of my metastatic cancer. Anthony took on the task of taking my classical music and recording it into an album, Dusk & Dawn with the wonderful Phil Smith. I have several albums, Nobody Nowhere and Mutation, two recorded rock musical Baloombawop, and Footsteps of a Nobody featuring fellow arty autie, Anthony Julian (from The Aspinauts), and an album, Broken Biscuit which I did with my band The Aspinauts, then finally Win Win and Weirdos Like Me. I also wrote large classical pieces of music which was transcribed in the last months of my life by the amazing Anthony Julian and those interested in orchestrating and performing it at any stage in the future should contact my husband Chris Samuel. My music is available to use at no cost under a Creative Commons Attribution 4.0 International License as long as I am credited as its writer and I would ask that my husband, Chris Samuel, to be informed of any recordings or performances so he has a chance to experience the use of my work. To hear the music, you can click the album covers which will take you to the CD Baby pages for each album where you can hear samples, read reviews and, if you like, buy the albums. 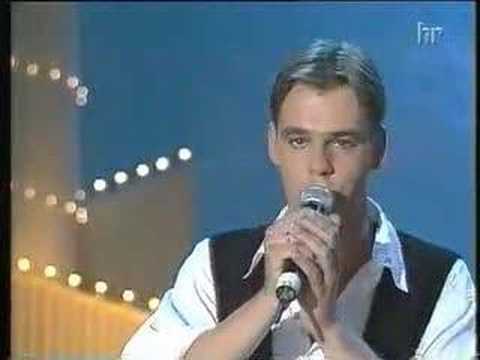 Nobody Nowhere is the name of a poem which became the title of both my first book and my first album. The album has had wonderful reviews and two of its songs sold into the hit TBS TV series, 'Things You Taught Me". The music, words, feelings this CD invokes has left all who have heard it here in my office calmer than when they came in. It helped me appreciate all that my son, who is Autistic, has experienced and helped me look at things from his point of view. Thank you so much for sharing this talent with us. Click on the album cover to hear samples at CD Baby, read reviews or buy this CD. 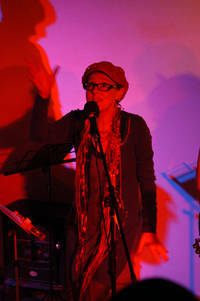 Mutation is my second album and features songs and spoken word poetry put to music. Wow!, this is an excellent CD, there wasn't a single song i didn't like on the whole album and i cant remember the last time that happened (if ever!). Even my Autistic son comes running over to the CD player grinning when Beautiful Behavioural Mutations comes on! All i can say is...Wonderful! Broken Biscuit , the debut album by Donna and The Aspinauts. 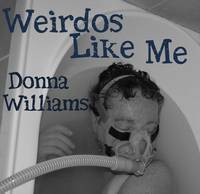 Weirdos Like Me (named after the book of the same name) contains topical and thought provoking songs many derived from performance poetry pieces by bestselling author, Donna Williams, and put to an eclectic range of catchy music. 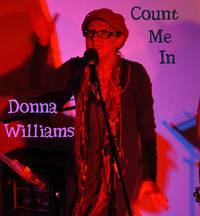 Count Me In contains topical and thought provoking songs many derived from performance poetry pieces by bestselling author, Donna Williams, and put to an eclectic range of catchy music. 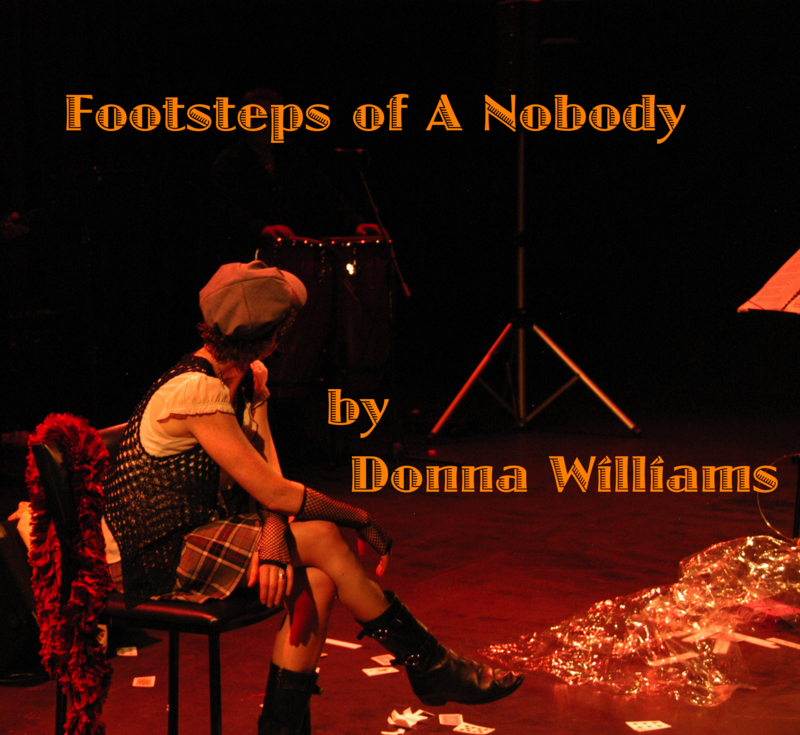 Footsteps of a Nobody was written by Donna Williams in 2009 and first performed around small independent theaters throughout Melbourne with the backing of her band, The Aspinauts. Through near Shakespearian spoken word vignettes and songs capturing her life from infancy to her turbulent teens and into her 20s when she set herself free through the writing of the international bestseller Nobody Nowhere, Footsteps of a Nobody is a riveting rollercoaster of emotions that ultimately leaves the listener cheering. 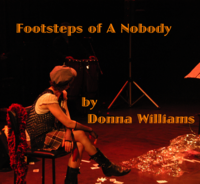 Recorded with the backing of Anthony Julian in 2016, Footsteps of a Nobody will appeal to those who love theatre, storytelling, autobiography and fans of Donna's books and music. Musically, the album is eclectic in style, from ballads to pop rock to cartoonic surrealism to blues. 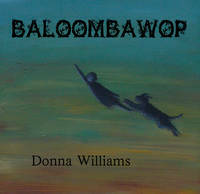 Baloombawop is an off the wall hilarious adventure story by Donna Williams told in Dr Seuss/Roald Dahl/ Lewis Carroll like rhyme from start to finish. It was written and performed as a children's rock musical by Donna and The Aspinauts throughout 2009 and captivated both special needs and mainstream alike including 'kids at heart'. The land of Baloombawop and its crazy characters - The Gadoodleborger, Dame Grumpty Do, The Brookenstein Fox, Boogerlooger, Charlie Warmton, Bluster Mc Fluster, The Whirly Twirl Girl, The Gimmety Gimme - almost spring off the page and each can easily lend themselves to individual drama activities. Equally suitable for kids of all ages and fun loving adults, Baloombawop can also be used as a springboard from which to discuss difference, individuality, diversity, and society's fears of these.... and how our different 'normalities' make our world so much more colourful. The CD can be enjoyed on its own or in conjunction with the read along book.